African Americans are less likely to complete advance directives or have conversations with their families and health care providers about their end-of-life care, goals, preferences, and values. As Black History Month comes to a close, one of our goals for the remainder of the year should be to change the history of African Americans enduring needless suffering when we die because we don't prepare for the inevitable end of life. When my father's cancer came out of remission in 2010, he declined in a matter of months. I had never had one conversation with him about his end-of-life care, goals, preferences, and values, so he suffered terribly during his last days. My family spent so much time fighting over what we thought he wanted, when in reality none of us knew what he really wanted. That experience taught me not only the importance of these discussions, but also how much of a need there is for us to start planning early, before a time of crisis. Unfortunately, African Americans are less likely to complete advance directives or have conversations with our families and health care providers about our end-of-life care, goals, preferences, and values, according to a 2014 report in the American Journal of Preventive Medicine. It is critical that our community begin focusing on advance-care planning about end-of-life care options, including educating ourselves about the value of hospice and palliative care. The sad truth is that we suffer from higher rates of health care outcome disparities caused by smoking, obesity, hypertension, heart disease, and cancer. By not having frequent conversations early about end-of-life care options, to prepare before a health emergency occurs, people of color often opt for aggressive, futile medical treatments that only prolong an agonizing dying process. African Americans are less likely to access comfort care, hospice, and palliative care to maximize the quality of remaining life. In fact, while representing more than 13 percent of our nation's population, according to U.S. Census data, we account for only 8 percent of hospice users. Unlike many of the other disparities that impact the community, this is one we actually have some control over. It starts with having a conversation. Unfortunately, too many of us are not having discussions. 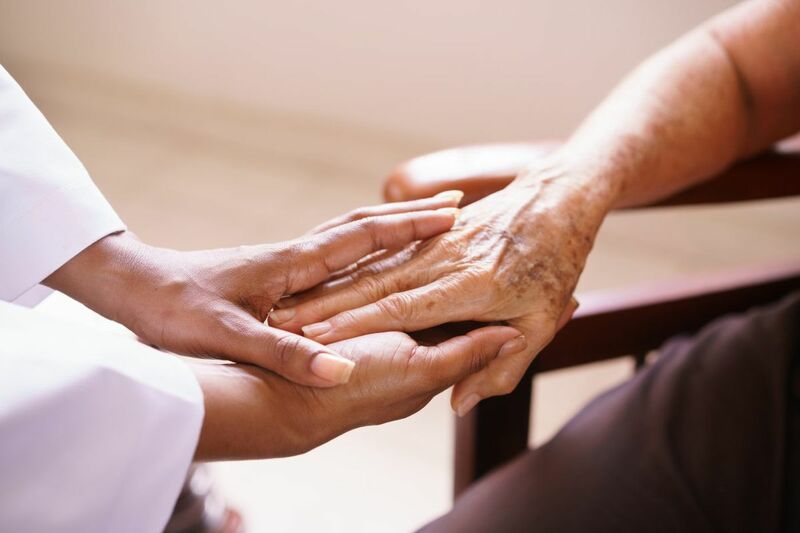 In fact, 20 percent of African Americans have not talked to anyone about end-of-life care, according to research conducted by the Duke Divinity School and the National Hospice and Palliative Care Organization. Every individual has a responsibility to lead by example on health care issues, so I challenge you to start having conversations today with your personal networks and your health care professionals. Complete an advanced directive and identify your power of attorney, the person who will make decisions for you in case you cannot speak for yourself. The most loving thing you can do is to make your wishes known to your loved ones; it provides peace for all involved. Tomorrow is not promised, so whether you want every treatment option available or none at all, it's imperative to make sure it is clear to those who matter to you the most. Start this process by visiting Compassion & Choices online, where one can access state-specific advance directives and find other resources and tools to help, free of charge. We also offer a diagnosis decoder that generates questions for physicians specific to a particular illness. Educating and utilizing these resources will not only empower you, it will also have a positive and lasting impact on the African American community as a whole and the way we experience end of life. Talking about death will not kill you. Advocate for yourself. Brandi Alexander is the national constituency director for Compassion & Choices, the nation's largest, oldest, and most active nonprofit organization dedicated to expanding and improving patient-driven, end-of-life care options.